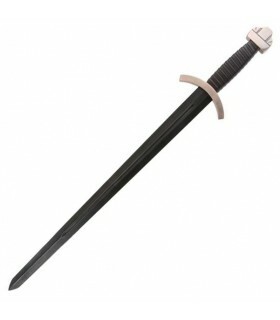 Swords Viking series There are 10 products. Official Viking Sword of Lagertha based on the television series, Vikings. Made with 420 black stainless steel blade, zinc guard and knob and leather covered handle. Includes wooden support decorated to hang on the wall. Includes certificate of authenticity. Specific and Official pod for the Official Viking Sword of Lagertha based on the television series, Vikings. Made of imitation leather in 2 shades. Includes certificate of authenticity. Includes wooden support decorated to hang on the wall. Includes certificate of authenticity. 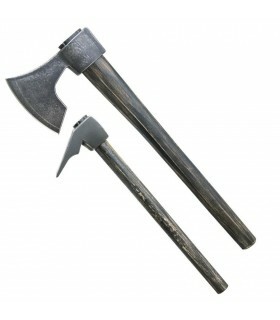 Official Floki weapons of the Vikings series. 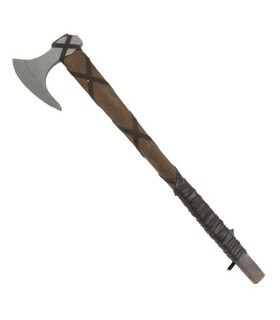 Head of ax and adze in stainless steel. Solid ash wood handle. Includes display for wall with Viking design. Includes certificate of authenticity. Ax: 47 cms.Azuela: 37 cms. 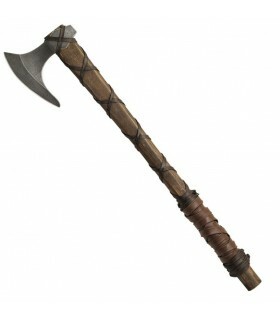 We present you the Official Ax of Ragnar Lothbrok of the Viking Series for LARP. Made of polyurethane with fiberglass core. 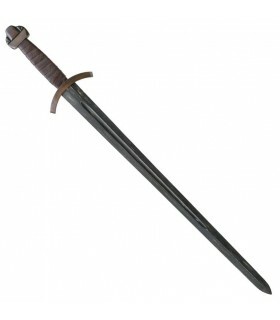 Sword Viking of Laguertha based on the television series, Vikings. Manufactured with stainless steel sheet black. Includes wooden stand decorated for hanging the sword on the wall. It is a product that is NOT official. Sheath for the unofficial version of the sword of Ragnar Lodbrok, the famous tv series. 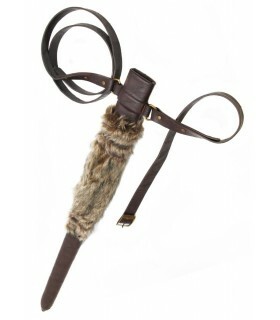 The sheath is made of leather and synthetic leather. Sheath for the unofficial version of the sword of Laguertha, of the famous television series. 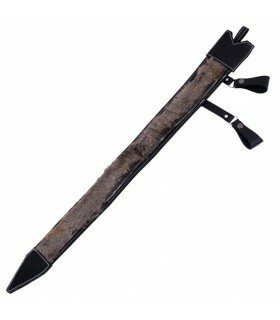 The sheath is made of leather and synthetic leather. 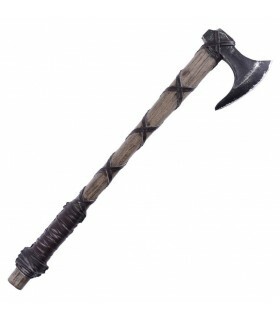 We introduce the Axe of Ragnar Lothbrok from the Series Vikings. Made of wood and stainless steel. Includes wooden display for display on the wall. Product is NOT official. Sword of the Kings of Ragnar Lodbrok, who appears in the series of Vikings. 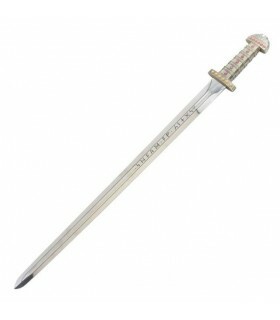 It is a sword with the blade forged in stainless steel. Includes wooden stand with the logo of the series. This is a replica NOT the official.